Our lawyers have many years of court experience and have appeared at court as barristers. Sina started his career as a lawyer at a prominent law firm. He dealt with and to date contionuesd to deal with complex family law matters involving children and property issues. Throughout his practice he has been involved in Intervention Order matters and appears on behalf of clients at all levels of hearings including Contested Hearings. 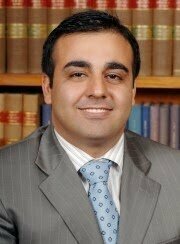 In 2006, Sina signed the Victorian Bar Role and commenced his career as a Barrister until 2010 before returning to establish Taft Lawyers. In his years at the Bar he appeared on behalf of clients at all hearings including Trials in Family Law at the Federal Circuit Court and Family Court of Australia and Family Violence Intervention Orders and Criminal Matters in the Magistrates’ Court of Victoria. Sina decided to use his experience as both lawyer and barrister to assist clients from the first point of contact to ensure their case is prepared properly for representation in court. In 2010, Sina established Taft Lawyers in Dandenong.